This laser treatment is specifically designed to zap broken capillaries on the face and legs caused by dilation of the capillary vessels. 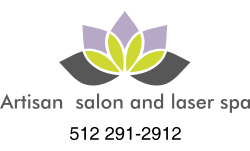 The laser generates a beam of intense, concentrated light, targeting specific areas to remove unwanted lesions. The result is a smooth, even skin tone, like airbrushing in real life! ​Once the laser energy reaches its target, it’s immediately absorbed. The energy turns into heat and stimulates the collagen layer or destroys the target hair follicle, capillary, or vein without harming the surrounding tissue. It then takes a period of time for the hair or blood vessel to dissipate into the body or for the stimulated collagen cells to reach the superficial layer of the skin and renew its appearance.